By besting a huge field of 585 players, Aaron Lim wrapped up the 2015 Asia Pacific Poker Tour (APPT) Manila Main Event grabbing the top payday. The 29 years-old poker player is now the first man to ever hit such an achievement in the APPT history. As a reminder, Lim's first championship feat is dated back in 2013, the year when he sealed the APPT Seoul Main Event's win. This year, he successfully made a title repeat. He was among the 23 survivors who returned in the poker room of Manila's City of Dream (the Philippines) for the ultimate day. He was ranked 8th in chip position when he entered the final table. After a few hours of play, Lim made his way to join the 9-final-tablist pack that included High Stakes guru "Winfred Yu" and Macau Poker Cup Red Dragon champ "Terry Fan". Surprisingly enough, Winfred Yu saw his run cut to 8th place. Though highly talent as he is, Fan moved forward through thin and thick and eventually fell to 4th place. It was Jessie Leonarez of the Philippines who secured the 3rd-place. After Jessie's elimination, Lim saw himself facing Sweden's Douglas Olsson in the final showdown. Olsson actually managed to destabilize his opponent but so huge was the difference between his stack and Lim's that he was unable to further turn his battle a notch. By finishing 1st-place, Aaron Lim was awarded PHP 6,016,250. With this victory, Aaron Lim becomes the top-ranked poker player in Australia. 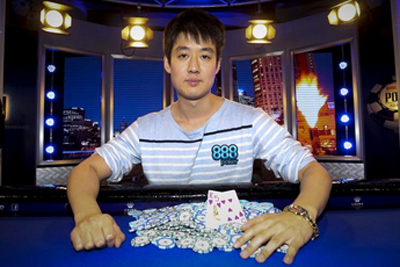 Apart from his two APPT titles, Lim also holds a World Series of Poker bracelet. His overall career earnings now total $ 2 million. Recall that the Macau Poker Cup Red Dragon, one of the region's must-attend poker tournaments, will make another stop in Manila from August 28 to September 13.